Chana mewa is extremely popular among Punjabis. 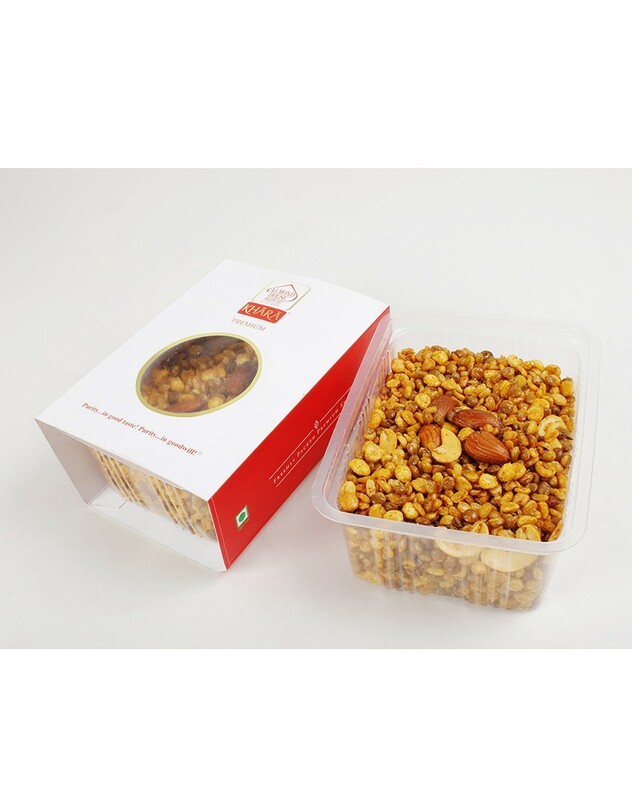 It is made from Cashew, chocolate, almond, pista, sugar and pure ghee. It is a perfect combination of naturally sweet indulgence and nutrition. Chana Mewa namkeen is enormously admired in north. It is an ideal blend of sweet treat and nutrition. It gives you rich flavor which you memorize and makes you go crazy, prepared by using a very well quality ingredients and it is available in Almond House in Hyderabad Telangana at a very affordable rate.